Our company offers professional translation services for individuals and corporate customers. 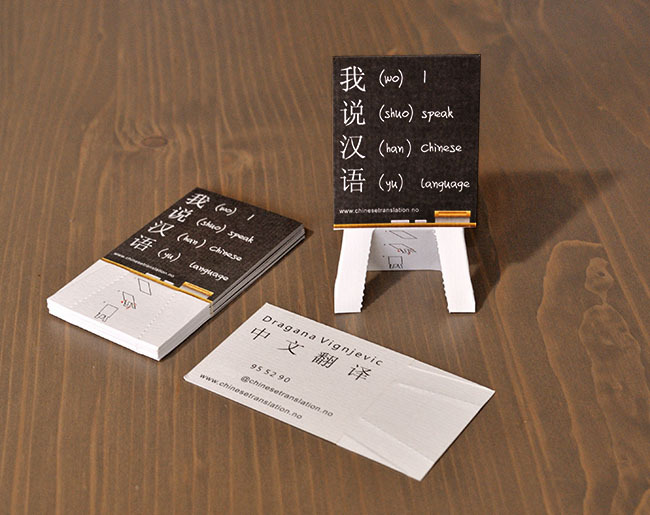 We run courses in Mandarin for clients interested in Chinese culture. 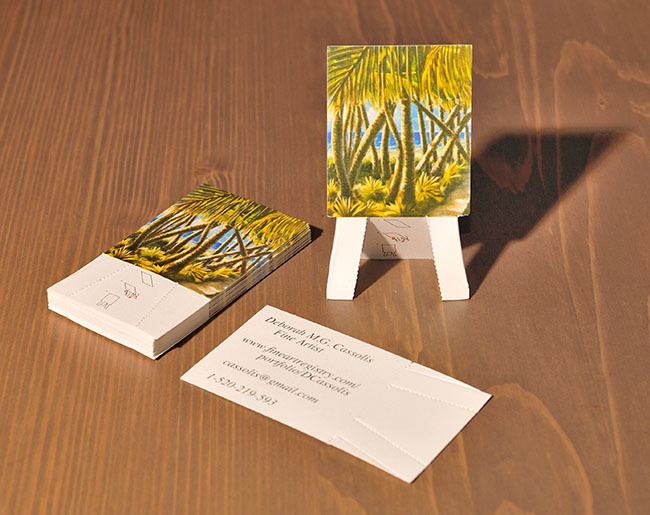 The Easel Business Cards design works well also as blank sheets for you to draw on. 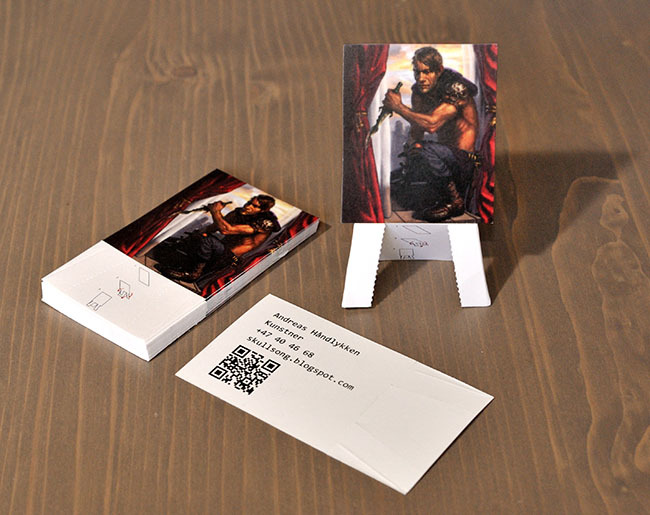 We produced a batch of blank Easel Business Cards and handed them out to a couple of artists. Minutes later we had a table full of mini easel artworks done in ink and pencils. The heavy duty art paper we are using works great with paint as well. It's so funny to draw on these! I work as a freelance concept artist and illustrator. I love working freelance, and obviously that requires me to do my own advertising. 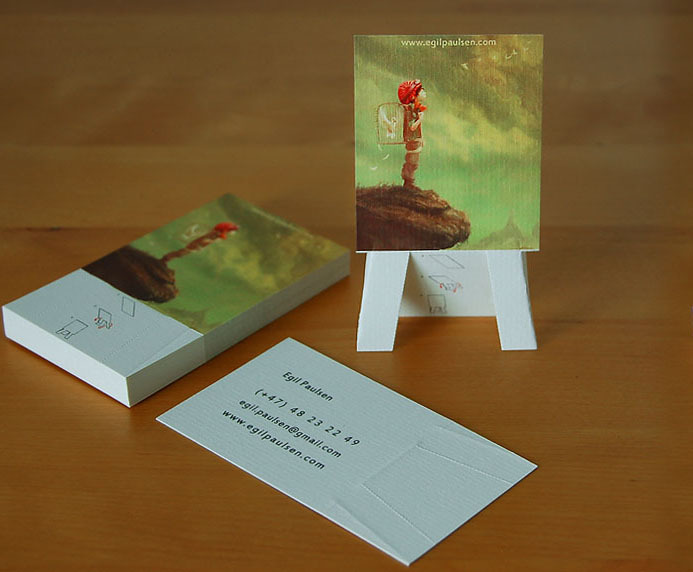 I found the easel business card concept perfect as it lets me show a piece of my portfolio that represents the type of work I usually do. People I meet simply love these cards. They think it is a very unique and surprising idea. I have revisited offices and studios where I find my card still standing on their desk or bookshelf. 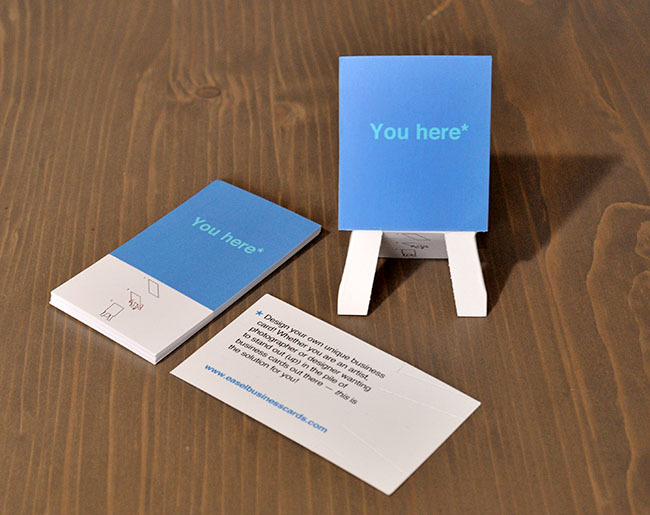 You can create a mini exhibition nearly everywhere. Sometimes I just leave cards standing on coffeeshops and bookstores just for fun! You can also create your own by personalizing the easel motive and contact information in an easy to use editor.